With constant fun and an undying sense of wonder, SUPERMAN (1978) is the comic book movie made for the comic book fan in all of us. Containing the heart that most its super hero movie predecessors lacked, this film creates a stir of emotions within its audience. 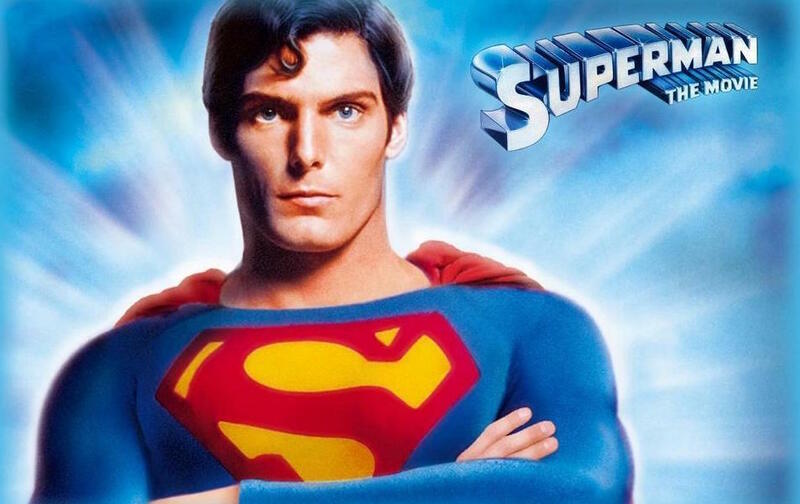 With an undoubtedly talented cast, an engaging plot and themes and lessons that everyone can learn from, SUPERMAN (1978) stands the test of time to solidify its place in super hero film history. Now, I don’t mean to hate on Henry Cavill’s current take on this beloved character; his Superman is dark, real and exemplifies what the DC Extended Universe (DCEU) is trying to convey through their films. No matter how true that is about Cavill, in my opinion, there will never be a Clark Kent / Superman better than Christopher Reeve. Reeve encapsulated exactly what it meant to play this character by showing Superman’s heart and strength, but never leaving out the world's famous superhero’s essential vulnerability. Reeve shows how this Superman is still learning how to be a hero. He brings the audience along with him on his journey from Clark Kent all the way to the Superman the world knows and loves. 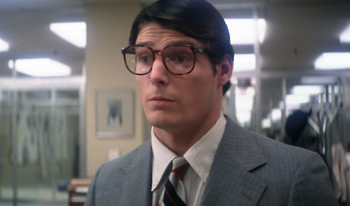 One of the aspects of Reeve’s performance of Superman that sometimes gets overlooked in the DCEU films is the distinct personality difference between Clark and Superman. Reeve plays his Superman knowing that once the cape is on its almost as if he’s a different person. He plays his Superman with a grandiose sense of power and courage, while his Clark is compassionate and relatable. Though Reeve does play an amazing Superman, I guess it may be important to note the actual story that he is able to embody the character in. The film, spanning almost two and a half hours, is split up into three ACTs. The first ACT tells the story of the origins of Kal-El and the destruction of Krypton. 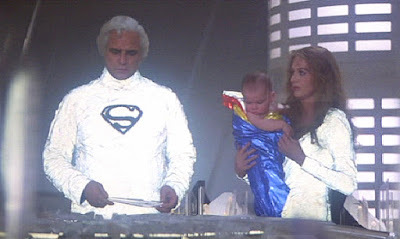 The film shows Jor- El, somehow played by Marlon Brando, sending an infant Kal-El to Earth, knowing that Krypton is destined for doom. This part shows the surreal home world of our hero and sets up the audience’s understanding of the people that Clark / Superman comes from. The second ACT details the mundane life of Superman’s other half as Clark. The empathetic Jonathan and Martha Kent finding the young Kal-El and taking him in as their own. However, just as Clark starts to question who he is and what extraordinary gifts he possesses, reality hits him in the gut. He’s an alien, his home planet is destroyed and his new purpose is to use his gifts to become a full-fledged hero. Who wouldn’t want the disembodied voice of Marlon Brando telling you that? The third ACT is where the action really kicks in. Though the first two parts only consist of the about 25-percent of the movie, it doesn’t feel right to group these parts all together, because they feel as if they’re depicting individual stories. Where the first two parts tell the story of Kal-El and Clark, the third part is where the audience gets to see the story of the Man of Steel himself. To quickly recap, after buying tons of worthless desert property in California, Lex Luthor decides to redirect nuclear missiles being used in a missile test to destroy the entire West Coast. 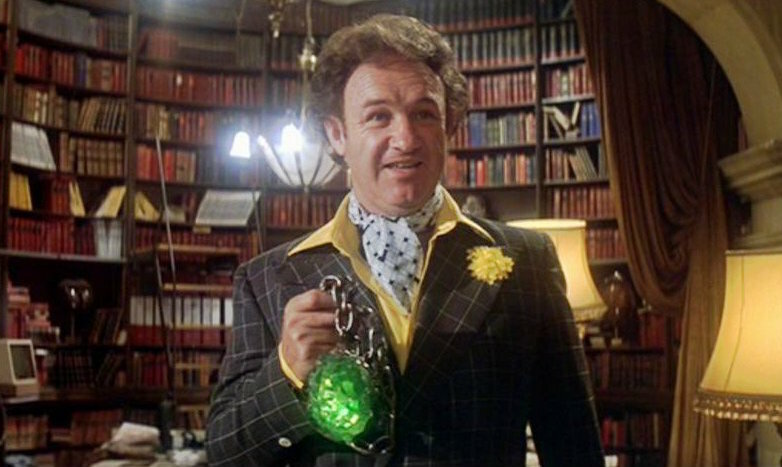 After this, the property he purchased will become the new coast and will enable him to create a Luthor-themed paradise. After Luthor redirects two missiles, Superman races to destroy them before countless lives he swore to protect would end. He destroys one rocket, but the other detonates and devastates the coast, killing his beloved Lois Lane. This is where the 1970s outrageousness really kicks in. Superman, in a spat of rage, starts to fly around the Earth as fast as he can going against the Earth’s rotation. As he flies faster and faster, he starts to slow down the Earth’s rotation, causing it to rotate in reverse. Though in reality this would be catastrophic and would kill every living thing on the planet, it somehow causes the entire world to go back in time. As he does this, everything reverts back to where it was before the missile hit (except for the missile, for some reason) and Superman flies off into the sunset. Cue the touching, emotional music! Somehow, even though I knew exactly what was going to happen and how it was going to be done, this movie still left me on the edge of my seat. Though it might be outrageous, this movie is so conscious of its heart and conflict that it is able to entertain and connect with countless audiences. 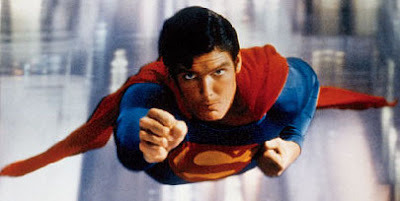 If you have not seen SUPERMAN (1978) yet, I would highly recommend giving it a chance. No matter how many times Superman’s story is told this film will stand out as the character’s finest adventure. Batman 1966 Review: Holy Feature Length Movie, Batman! Superman (1948) Review: It’s a Bird! It’s a Plane! It’s in Black & White!